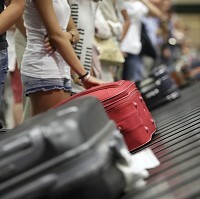 Pickpockets are targeting holidaymakers and their hand luggage at airports, research reveals. As many as 11% of travelling Britons have had items stolen while waiting to catch a flight, according to storage company Versapak, with mobile phones, money and passports among the most likely items taken. Jewellery and tablet computers are other personal belongings that thieves tend to target at airports. Some 64% of the 2,836 adults questioned, meanwhile, know a friend or family member who has fallen prey to pickpockets. It is therefore extremely important to protect yourself with adequate travel insurance when jetting off abroad. This can cover you against theft, whether in the airport or at your destination, so it is something you shouldn't leave home without. Distraction is the main technique used by pickpockets at airports, with 42% of the victims losing out in this way. A further 36% fell asleep at the boarding gate or departure lounges, while 12% were going to the toilet or buying goods in airport shops when the thieves struck. But despite the high number of thefts, just 47% decided to report the incident to employees at the airport. Only 18% of these successfully managed to retrieve the stolen item or find out what happened to it. Turkey topped the charts for the most airports thefts - 19% - followed by Egypt (17%), France (12%), America (9%), and Greece (6%). In fact, 88% of the airport thefts involving Brits happened outside of the UK. The most likely items to be taken from hand luggage while at an airport were mobile phones (19%), money (16%), passports (11%), jewellery (6%) and tablets (4%). Holidaymakers should therefore make sure they keep an eye on their possessions at all times, especially when walking around a busy airport.